Roar! 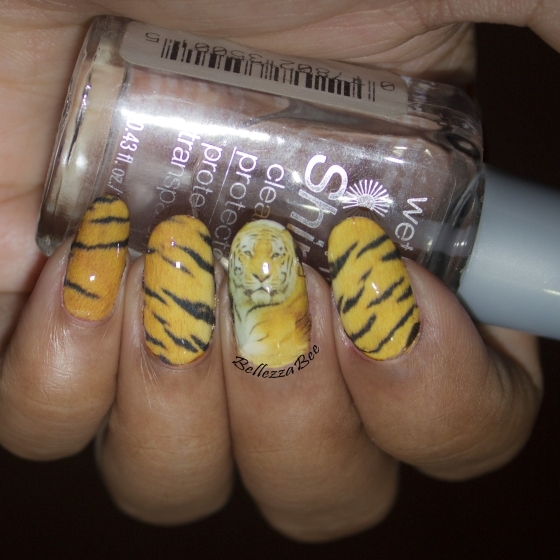 Hear me roar today with a quick and easy nail art design that is sure to bring out your big kitty diva. This design was made easy using water nail decals from the super stocked BornPrettyStore. This set of decals comes with 4 different patterns that you can mix and match like I did today or simply use on its own. The patterns are all stunning and perfect for the animal print lover. 1. Paint your nails a coat of opaque white nail polish for your base. Allow to dry fully. 2. 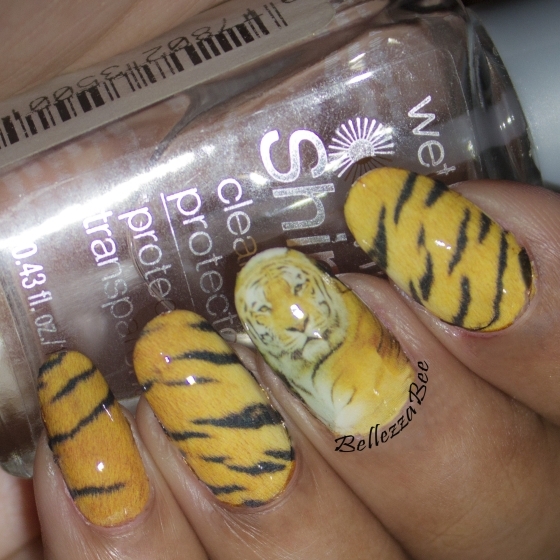 Remove the clear protective coating and then cut down your nail decals to match the nail sizes. If possible cut them down close to the nail shape as well. 3. Soak the nail decals (one at a time) in water. Leave for about 1 minute or until you see the white paper backing separating from the print. 4. Apply over the white base, align the print properly. Tap down gently with your fingers to ensure a smooth finish with no air pockets. 5. If there is excess print overlapping the nail edges, use acetone and a sharp edged brush to melt it away to the perfect shape. 6. Seal in with a top coat.